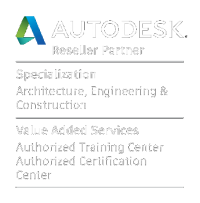 AutoCAD Civil 3D has firmly established itself as a market leading solution for the analysis, design and construction of Civil Infrastructure projects. Whether you’re analysing a site for slope, aspect and runoff; designing earthworks projects involving cut and fill calculations; or full-blown infrastructure design for projects in all construction sectors, Civil 3D is the most powerful tool on the market today. Our Civil 3D training courses are run as bespoke courses at either our premises or yours and are tailored to suit your exact requirements…. whether you’re a complete beginner or looking to develop more advanced skills, the course will be pitched at the right level for you with expert guidance throughout. In fact our Civil 3D trainer is one of the most in demand Civil 3D instructors in the country. Our Civil 3D training courses focus on topics that will be most applicable to users wanting to get the best results from the software in a professional environment, learning incredibly useful skills such as mastering the Toolspace, modifying surfaces, creating pipe networks and working with survey data. Enquire about our Civil 3D training courses today!